Posting regularly on Instagram is a great way to share your most newsworthy information directly to your followers’ timelines, but Stories allows for more frequent and personalized updates. 64% of people cite shared values as the reason they build relationships with brands. The new update is a prime platform for sharing your brand’s values as they occur within daily happenings. Whether your employees spent time doing community outreach or you sponsor a local charity, showing these interactions as they happen is a great way for people to connect with the things you do on a daily basis. Increase engagement with your brand by announcing deals and specials only available to those who have seen your Instagram Story. Stories allows users to place text on the images and videos they post so you can include a code or password over your post that customers can redeem for a discount or freebie. This will encourage people to interact with your brand on Instagram while also increasing traffic and sales. Similar to Snapchat, Instagram allows users to see which of their followers has viewed their story. Incentivize customers to engage with you by offering a prize to someone who consistently watches your updates the most. Introducing competition is a fun way to encourage people to get to know your brand while rewarding those who already do. Just as you want people to engage with your brand via Stories, people want you to engage with them, too. Watching your customers’ stories not only allows you to get to know them on a more personal level, it allows you to understand what they like and why they might need your brand. The feature ultimately gives you a glimpse into what your customers’ daily lives are like, providing you with valuable information that allows you to tailor your marketing to fit their lifestyles. 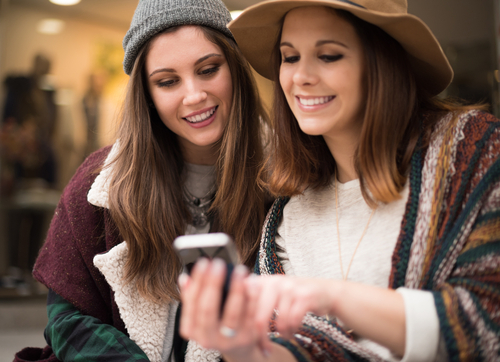 While some say the update is a direct imitation of Snapchat, it’s a great (and free) way for small businesses to bridge the gap between the brand and the consumer while increasing overall engagement. Whether you snap behind the scenes moments or post quick updates, Stories is an essential way to communicate with people.